Instead of arriving in a UPS or FedEx truck, your Black Friday online orders may show up today in an Amazon van. The Seattle-based shopping site has started using Amazon-branded vans for deliveries in the Champaign-Urbana area after recently opening a delivery center on the north end of town. The warehouse owned by The Atkins Group at 2901 Boardwalk Drive helps Amazon speed up the last leg of delivery, spokeswoman Amanda Ip said. 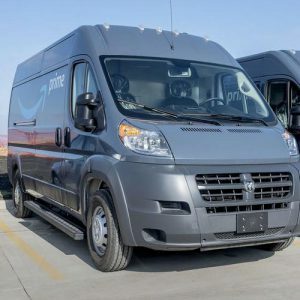 After arriving at that warehouse, some packages will be delivered in Amazon vans, which are driven by local shipping businesses through the company’s new Logistics program. Next Next post: Rugged Outdoors — Innovation Celebration Finalists!